Hear, hear. Here I am, will you send me an angel. 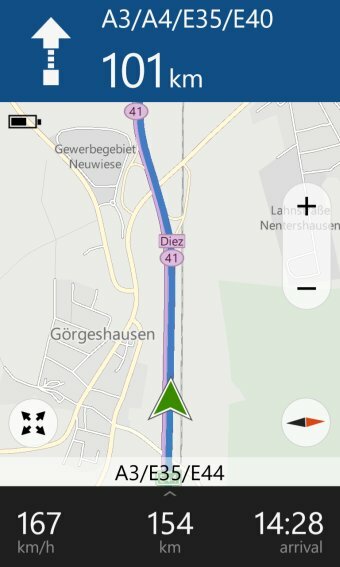 Anyhow, today I would like to discuss the pros and cons of the three offline navigation suites available for Windows Phone, and how they stack against each other. 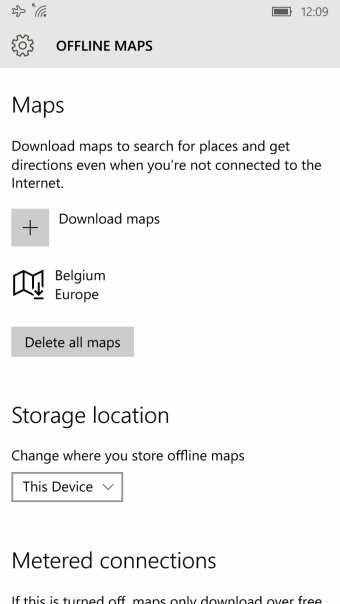 Because HERE Maps are no longer available on WP10 and no longer updated on WP8, and you must use either Microsoft Maps or Windows Maps, whatever chance giveth. Now, why would you care about my opinion on the matter? Because I'm a Linux user who hates smartphones and loves Windows Phone, and I don't like either Android or iOS, that's why. I'm really pleased with the Lumia line, which I've been using for three years, including Lumia 520 and 535, plus I've tested Lumia 640 LTE, and found it to be quite decent. Now, these phones come with their operating system and their own navigation applications. This is a core selling point in my vocabulary, hence this article. Follow me. One of the chief reasons I've always used Nokia, including an olden but golden E6, still have it and use it and charge it once every 10-14 days, was the presence of OVI and then HERE Maps, which let you navigate in a completely offline manner abroad, even without a SIM card. I've been a happy camper with this software for years, using the apps to walk and drive my way around the world. 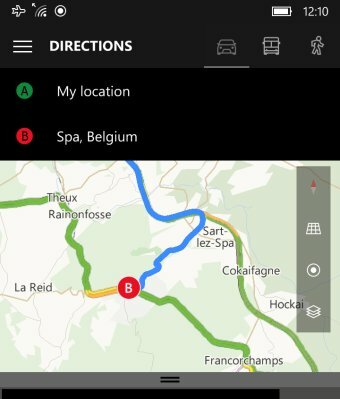 HERE Maps and Drive+ are a killer combo pack on WP8, which you can also boost with the Transit app. In online mode, you even get traffic updates, but you can also use the product offline, accurately, without ever accessing the network. So far so good. 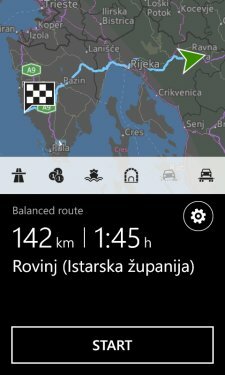 Then, recently, there was an announcement that HERE Maps and Drive+ would be discontinued on WP10 on June 30, 2016. The app would continue working normally on WP8.1, but it would receive no new features or updates. This means that effectively, WP8 users are left without a potentially important piece of software that convinced them to try the hardware in the first place. 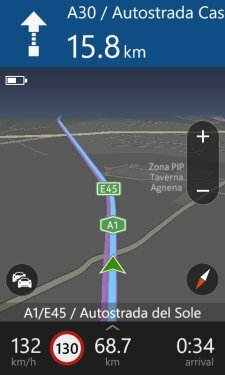 The availability of HERE Maps for Android is also a new thing, so that opens up possibilities. But if you are happy with the WP design and usage model, you may not like the sudden and new restriction. In fact, you will probably or you do already hate it. However, there are alternatives. 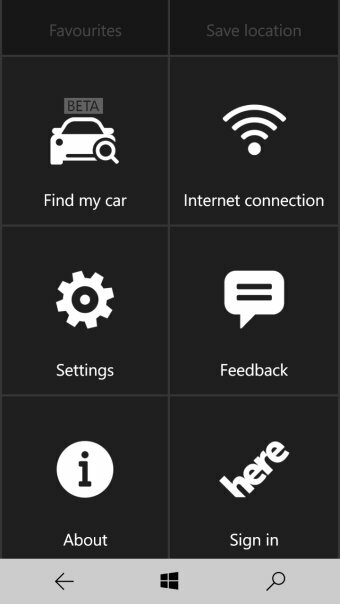 On WP8, you do get Microsoft Maps, a native, Microsoft-developed application that provides offline navigation. Make no mistake, it is closely related to HERE Maps, but it is no longer a Nokia product. 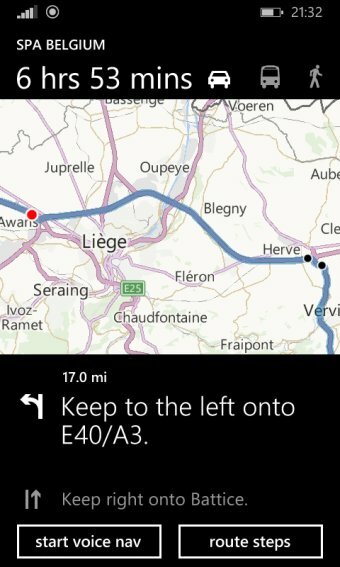 Likewise, WP10 offers Windows Maps, a similar but new software. On paper, Windows users are not really disadvantaged. The software stack has merely changed. But then, has it only? To see whether the replacement of one app with another actually translates into a seamless business transition, I decided to test and compare the three products. I don't there's much to add here [sic] or praise the software. Yes, I'm a Microsoft and Nokia shareholder, but that's not relevant. From a purely product perspective, HERE Maps and HERE Drive+ just rock. Fast, responsive, intuitive interface, good algorithms, precision, simplicity and ease of use. Perfect. I've done probably 10,000 km in a dozen countries using my phones as my trusted guides, and HERE never failed me, be it a superbly new motorway or a badly paved rural path. In places where all other GPS tools didn't work. This program is available on Windows Phone 8.1. To begin with, it does not really offer driving navigation with voice instructions. Instead, you can launch HERE instead. This makes for an odd choice. If HERE is no longer going to be developed, why would you call on an out-of-date software stack for aid? And then, why would you launch a program that does not have proper navigation? What's the point? Plus the units default to language settings. In my cases, US English = miles. No, no, no, no. I want km. This is stupid. 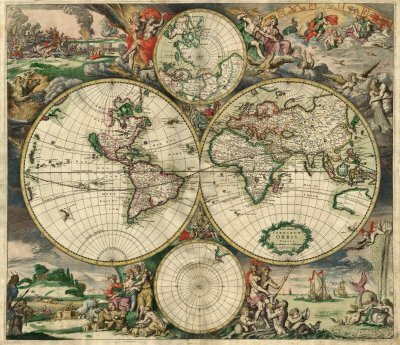 The other interesting fact is - Microsoft Maps uses the same HERE Maps. If you download an offline map, it will be available across both programs. Does this mean that maps are therefore a part of the Microsoft Maps stack and will be developed? 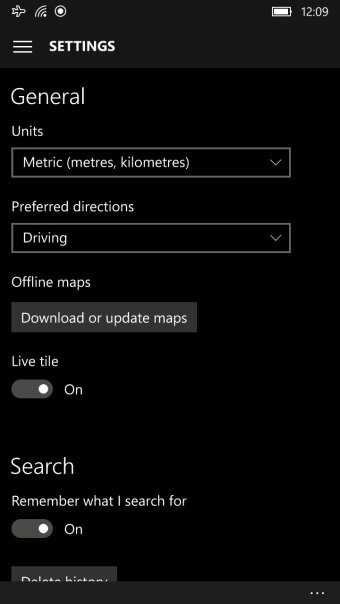 Or are these maps going to be different, in which case launching HERE Drive+ from inside Microsoft Maps for the purpose of actual navigation will also launch outdated maps? Or new ones? Very weird. If you check online, there's very little mention of this program. I'm not talking about comparisons or articles. Just pure and simple product spec. 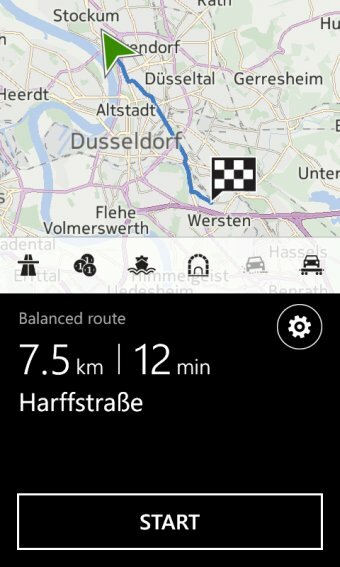 All the focus is on Windows Maps, which are only available for WP10. This could be a deliberate marketing gimmick to force people to move to a newer platform. In my mind, this translates into resistance and middle-finger salutes. I have not spent too much time exploring Microsoft Maps, but from what little I could discern, plus the fact it does not have its own integral proper navigation, it means it's not a suitable replacement for HERE. Ergo, a failure. This means Microsoft are harming their users, and this makes the concept of Nokia with Android ever so more lucrative in my mind. 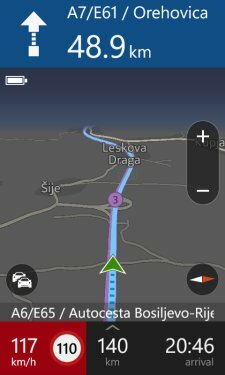 After trying HERE on Lumia 640, I then tried the Maps apps. At a first glance, it looks reasonable. The interface is intuitive, albeit less friendly than HERE, but it does combine the functionality of the two apps. The maps are shared, again, which brings about some more interesting questions. You are given multiple routes to choose and then drive, you can lock navigation facing north, follow the road, use voice guidance, and all that. Looks okay. However, without driving 10,000 km in similar conditions to HERE, I won't be able to provide any accurate feedback on how this program behaves. Then, I've also purposefully avoided reading any reviews in order not to bias myself. Last but not the least, the fact it's not an immediate failure is a good if somewhat sad start. All in all, it looks semi-decent, but who knows what little bugs or issues may arise that you can't check until you're in the middle of a dark, unpaved road, 300 km from nowhere, and the wolves are baying into the night, and there are zombies, and you only have one bullet left, for yourself. I don't like handing out judgement without proper research. That's not responsible. That's just churning garbage for the sake of page views. Nope. I use products before I can declare them good or bad. HERE Maps is absolutely stellar. Nothing comes close. And this means Microsoft products, no matter how closely related, aren't quite as good. 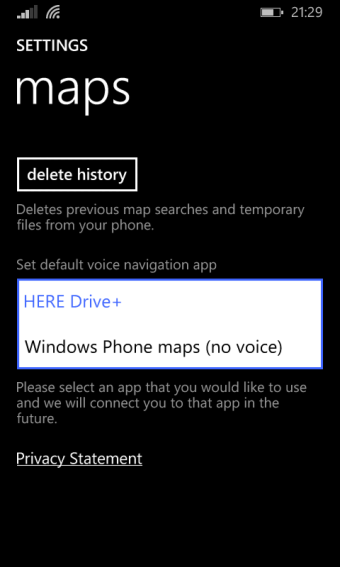 WP 8.1 Maps proves that by being utterly useless. No voice guidance. What. 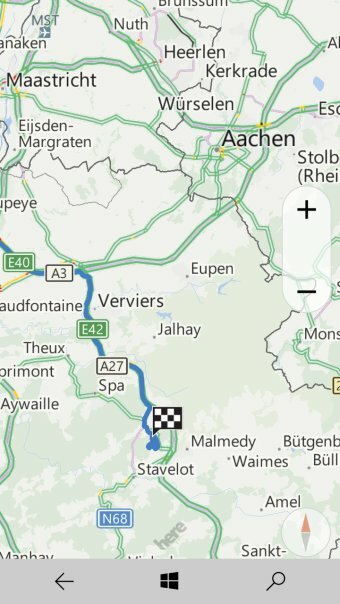 WP10 Maps seems to be a better, more mature product - and it could actually improve. But that's like saying, let's regress and then evolve back to what it was in the first place. Why kill something like HERE Maps, create an inferior alternative and then build it up to what HERE Maps could do two years ago? Do you have spare cash? Do you really feel like creating jobs for the sake of employment? Communism 1920s much? Whatever business decisions are driving this change, they are NOT benefiting the end user. On WP8, you're basically screwed. 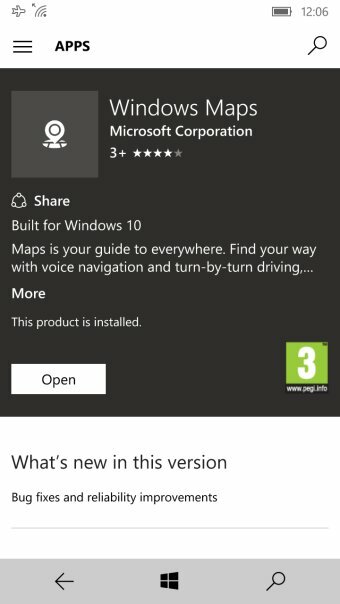 If maps continue being updated, through the loophole of being a shared product for both HERE and MS Maps, then fine, you can still run a somewhat outdated app but with new maps, who cares. If not, this is Microsoft telling you to upgrade to Windows 10 or GTFO. Then, on WP10, you have a better product that seems like might actually work well. But why? Is this just a legal battle between giants? 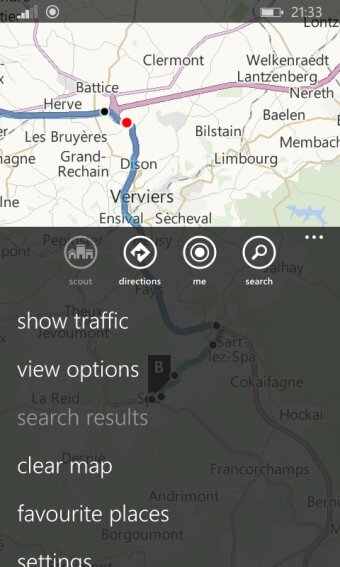 Bottom line, HERE is da blast, Microsoft Maps for WP8 is something from the past, and Windows 10 brings in old-new same same but different but still same kind of thing to the market, with a decent blend of traffic updates, routes, directions, view options, and other settings, plus shared maps. I'm not dissing. There's some hope yet. But the trick Microsoft pulled on WP8 users is dastardly. Just out of principle, I might get extra angry and boycott. Don't sell me a product and cripple it. That's a breach of terms and fair use.